When Ford announced the return of the 5.0 engine for 2011, many Ford fans wept with joy. The 5.0 badge is an icon, first making its appearance in 1979 on the first Fox body Mustangs, though the engine itself was descended from the carbureted 302. But the 5.0 with fuel injection came with 225 horsepower, and it quickly became the car of choice for street racers across the country. So it was only a matter of time before someone compared the classic 5.0 with the 2011 5.0 hitting streets this summer. Edmunds Inside Line found a relatively stock 1992 5.0 Mustang to compare to a 2011 5.0 Mustang, and the results shouldn’t surprise anyone. The car Edmunds ran was heavily used, with 190,000 miles on the odometer, a Flowmaster exhaust out back, and larger tires. But it was otherwise identical to the car that came off the showroom back in ’92. Rated at 225 horsepower and 300 ft-lbs of torque, it was a fun, fast car with a huge aftermarket following. Using older comparison data, they found that back in 1992 this car ran a 14.7 quarter mile @ 94 mph, and went from 0-60 mph in 6.3 seconds. 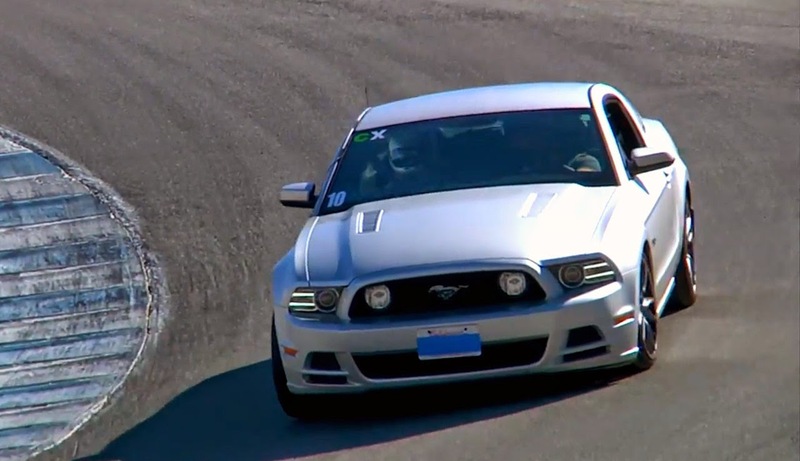 In the 600 foot slalom, the car achieved a max speed of 64 mph and .88 lateral g’s. Impressive stats for an almost twenty year old car, but the new Mustang is much better (and bigger too). The 2011 model is almost ten inches longer (179 inches in 1992 versus 188 in 2011) and 461 pounds heavier. But even with that extra length and heft, the 2011 Mustang GT makes 412 horsepower at 500 rpm more than the old 5.0’s redline. 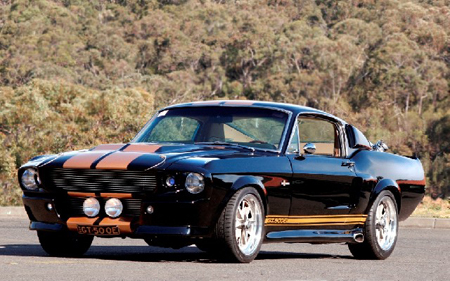 It chases down the quarter mile at 13.0 seconds flat @ 110 mph, and goes from 0-60 mph in just 4.3 seconds. It blitzed through the slalom at 67 mph and achieved .91 lateral g’s. Both cars have their place in history, but only one can be the better performer. It is good to see just how far the Mustang has come in the past two decades. 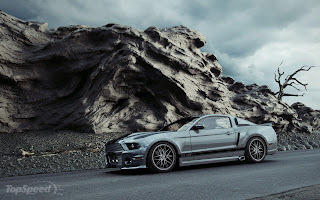 This entry was written by by Chris DeMorro (Stang TV Forums) and posted here on Tuesday, May 11th, 2010 at 2:44 pm and is filed under Ford & Mustang News. This article was not written by us, rather gathered using RSS feeds listed here. We take no credit for this article. You can leave a response, or trackback from your own site.